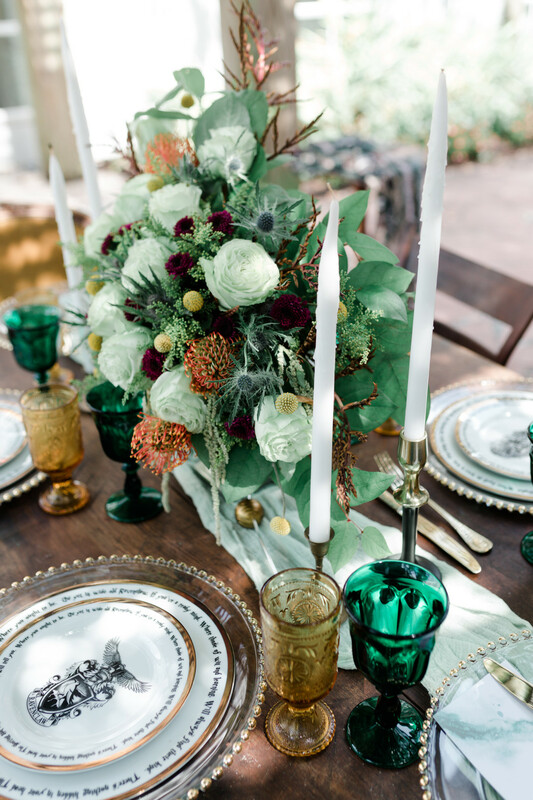 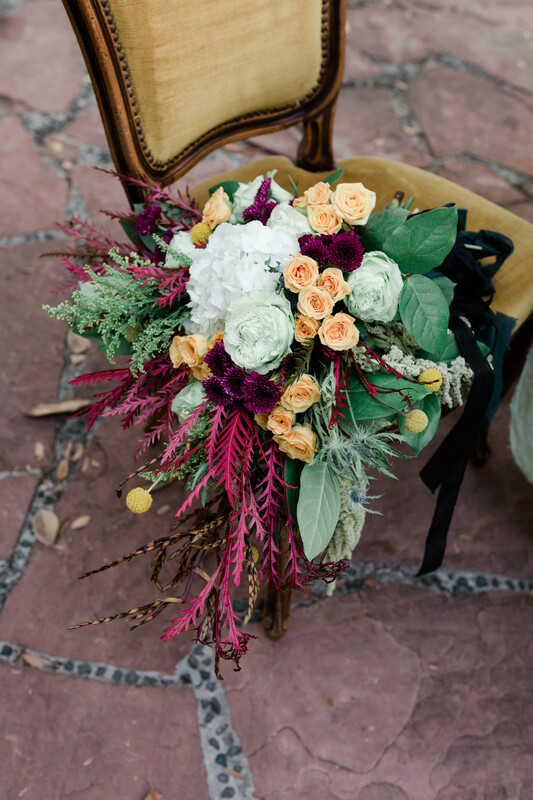 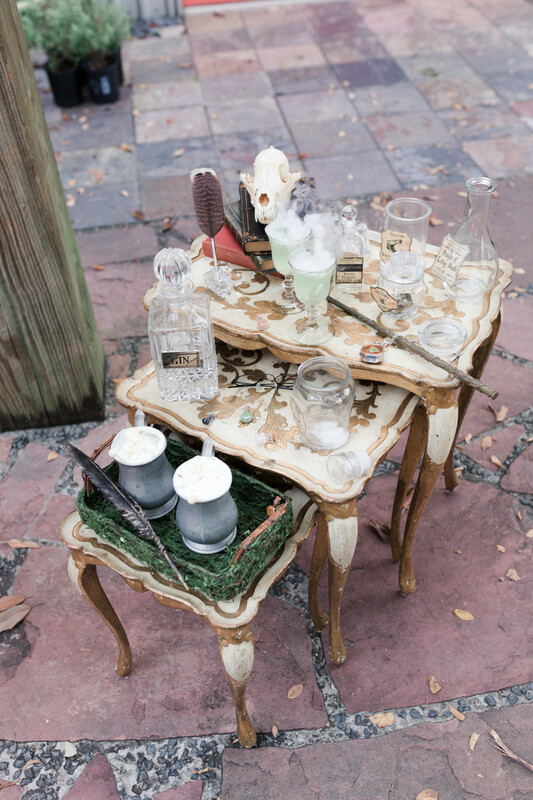 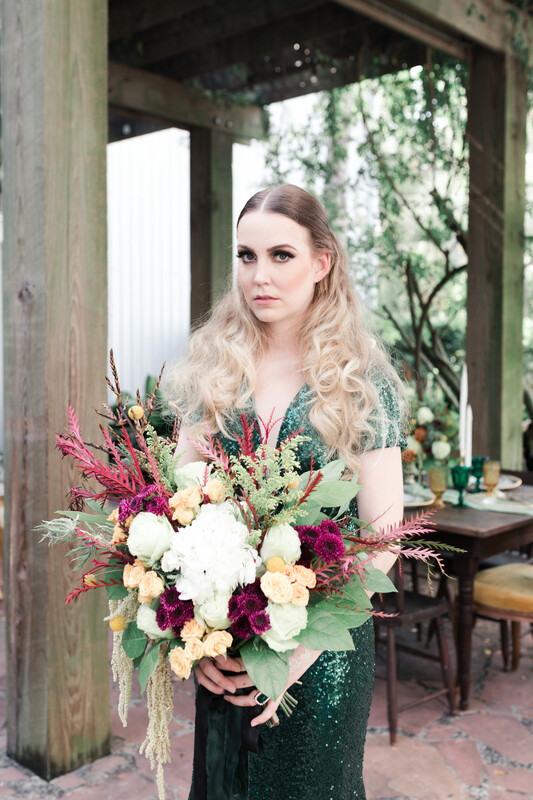 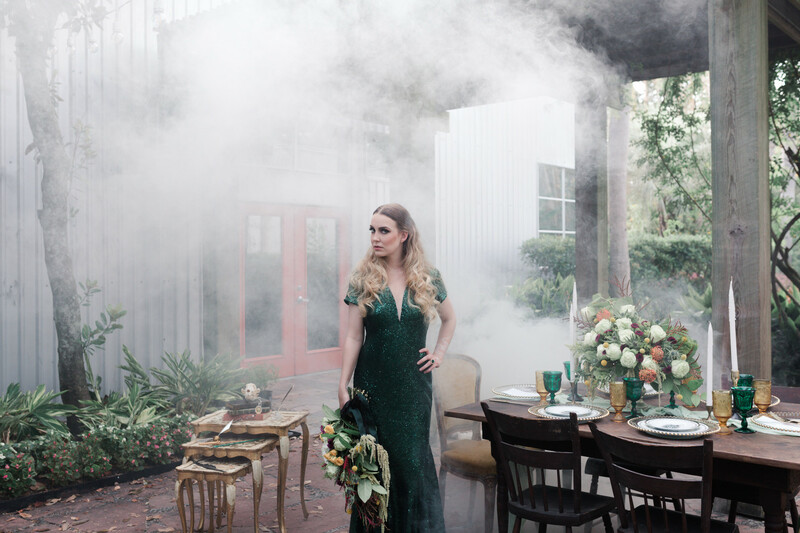 This enchantingly bewitching styled shoot speaks to a bride and groom who love unique touches to their wedding day as much as each other. 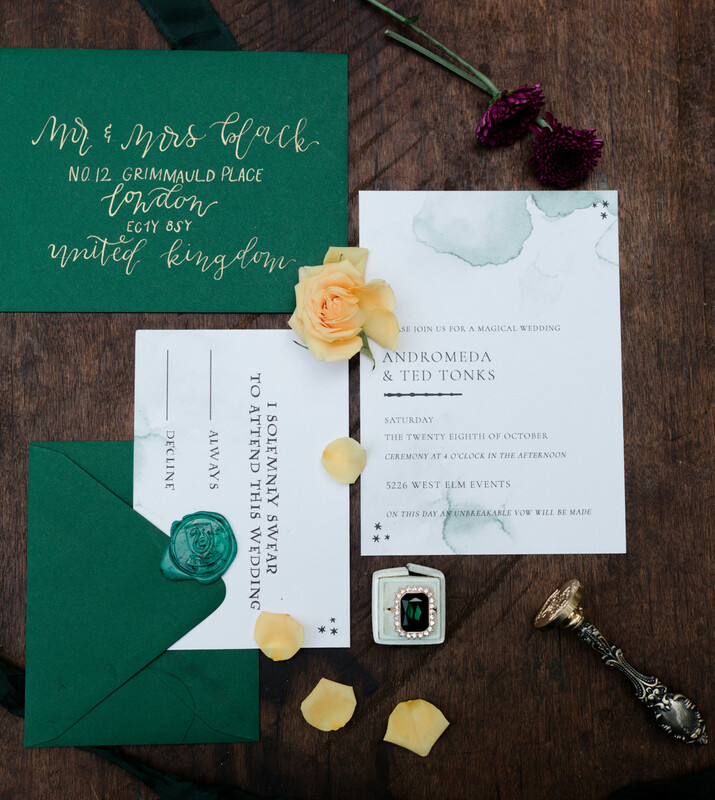 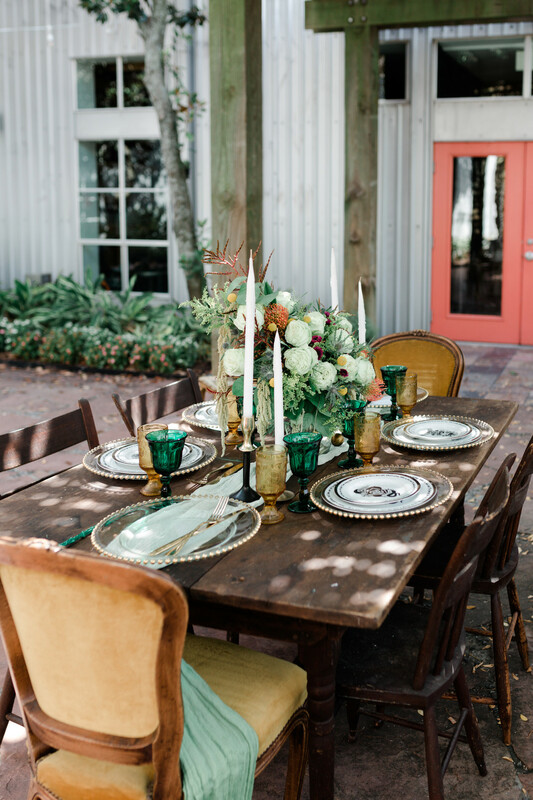 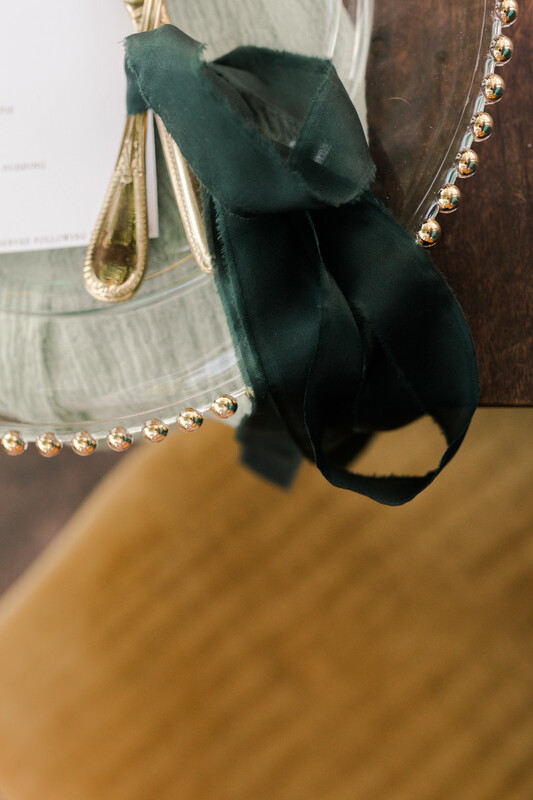 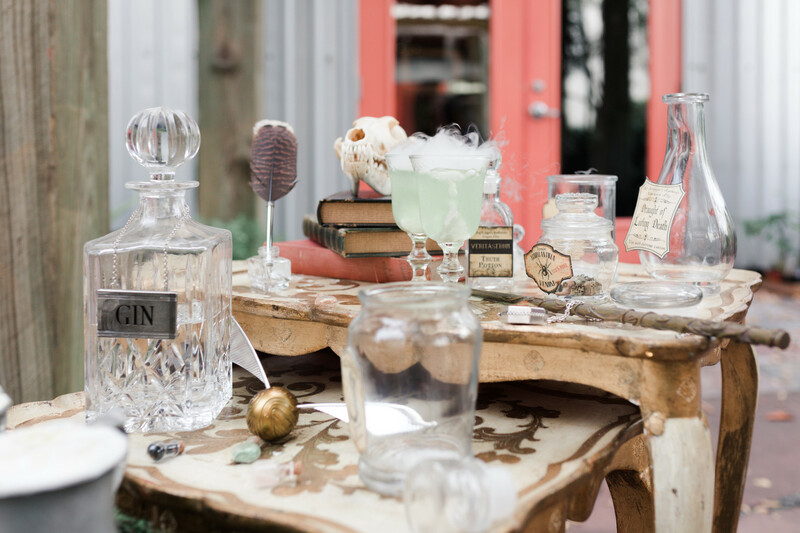 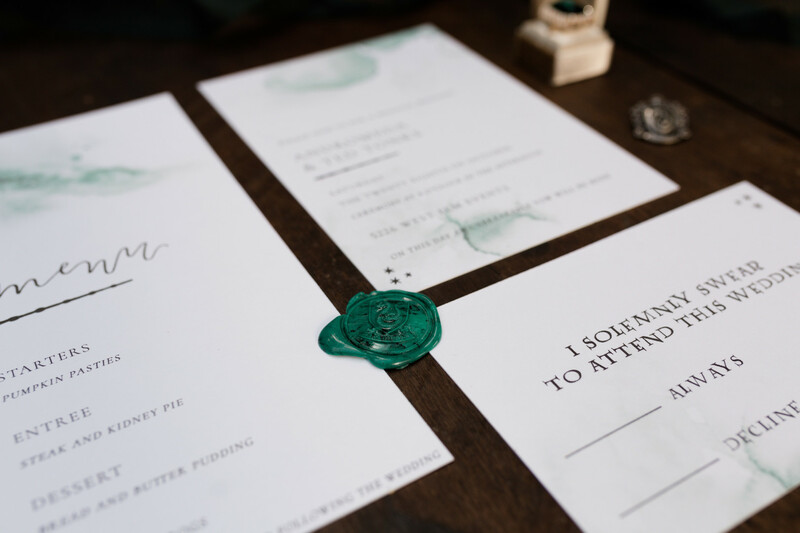 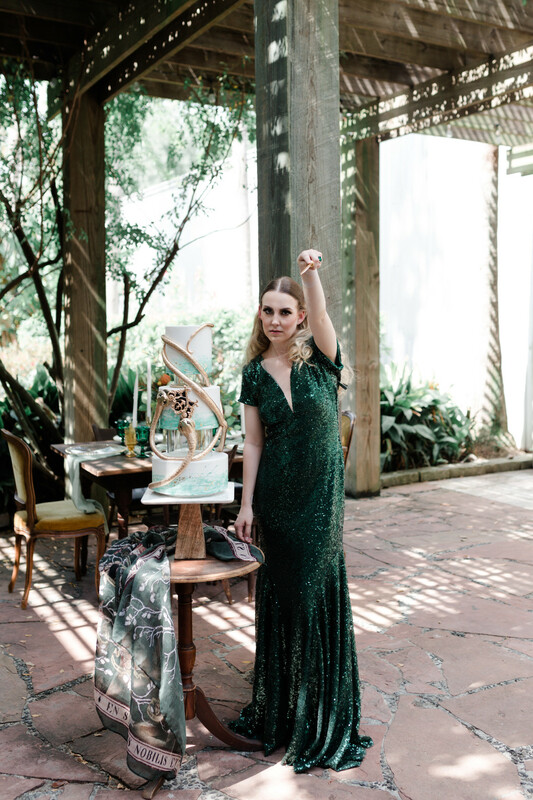 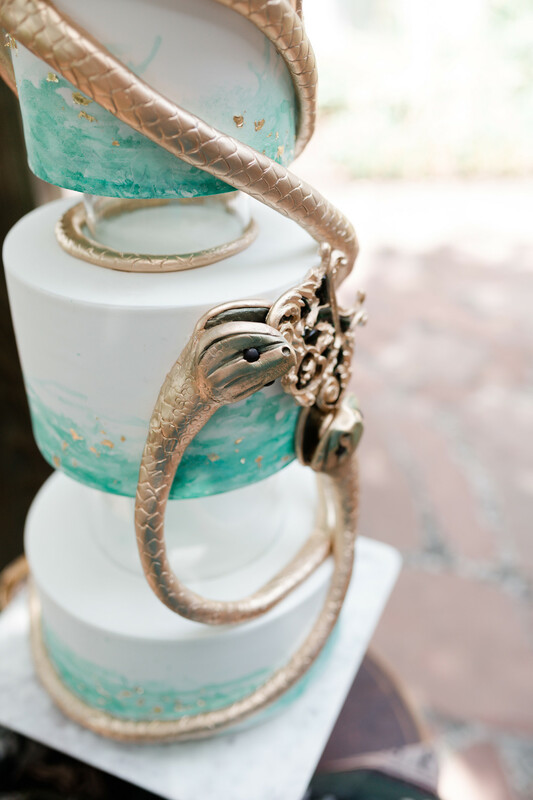 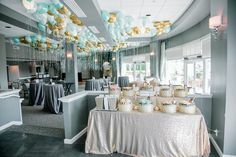 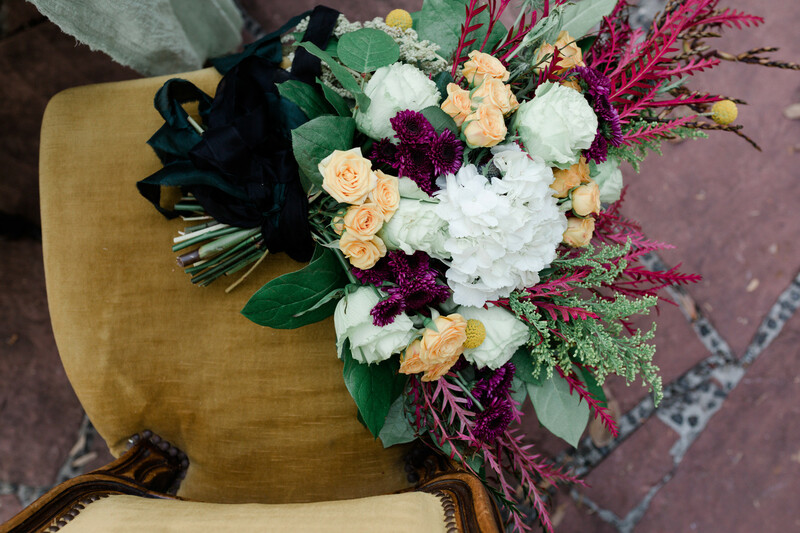 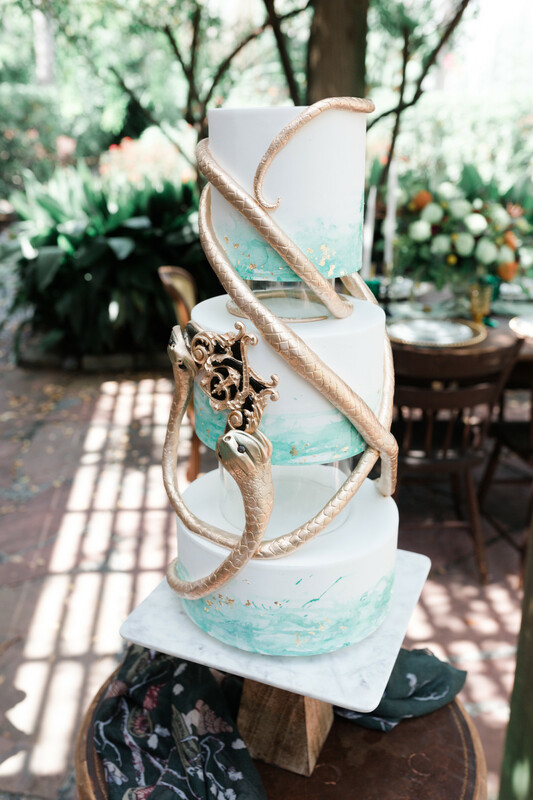 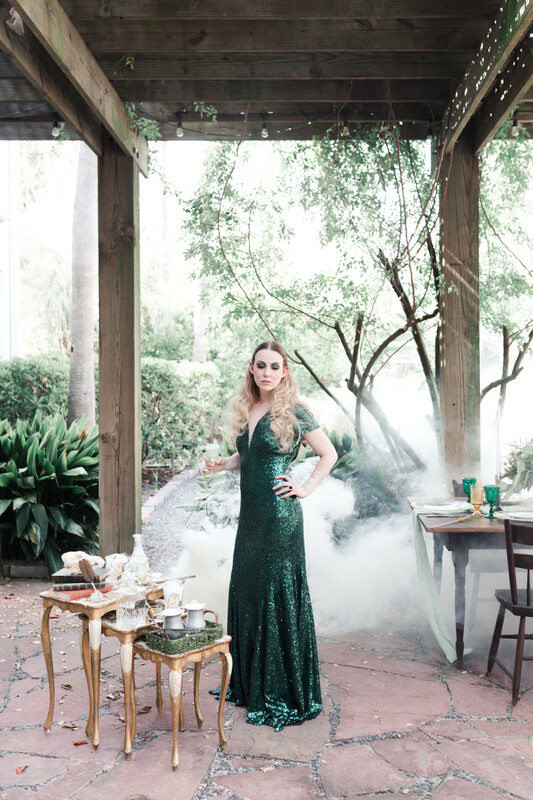 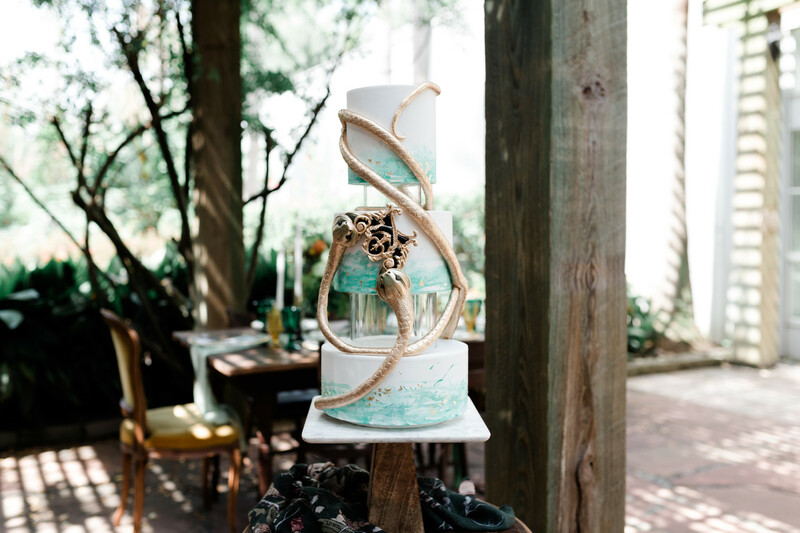 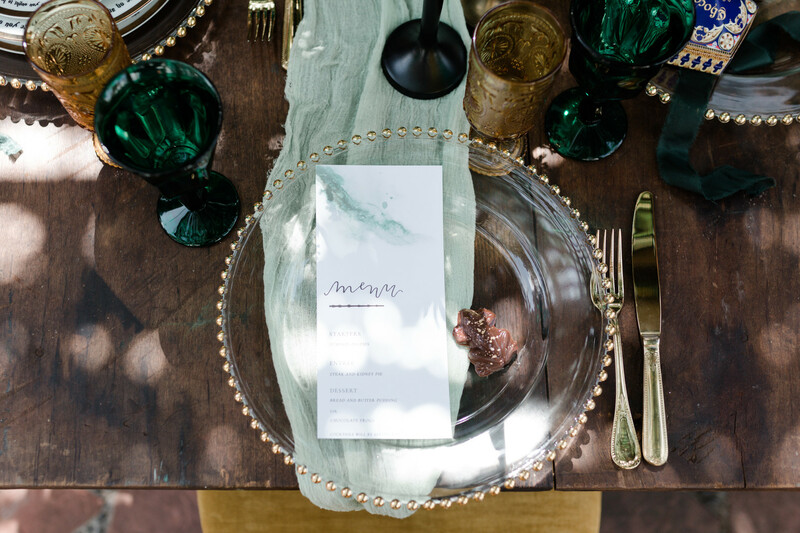 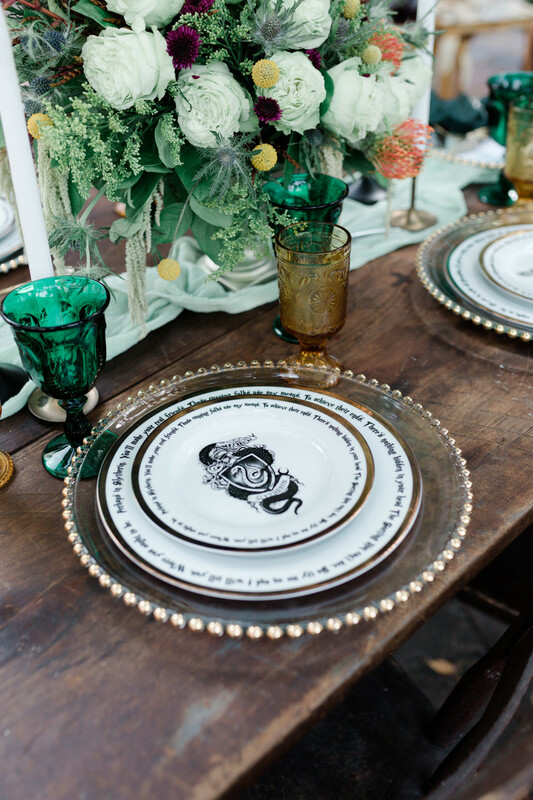 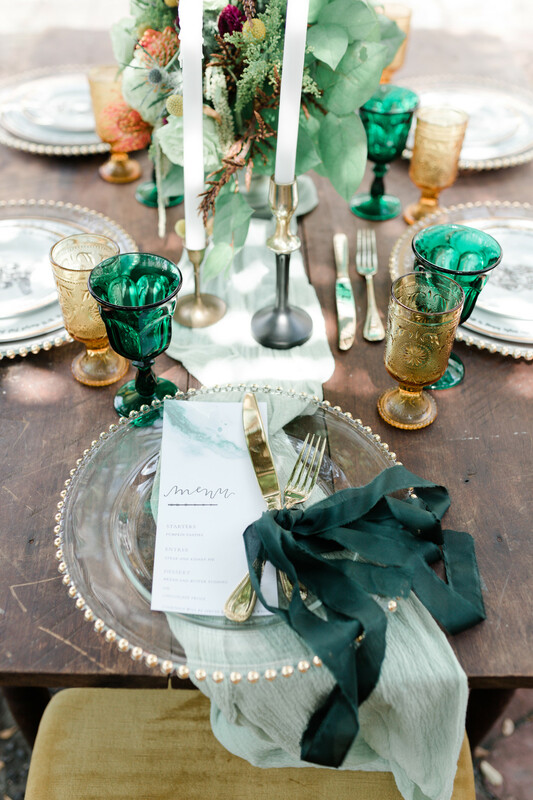 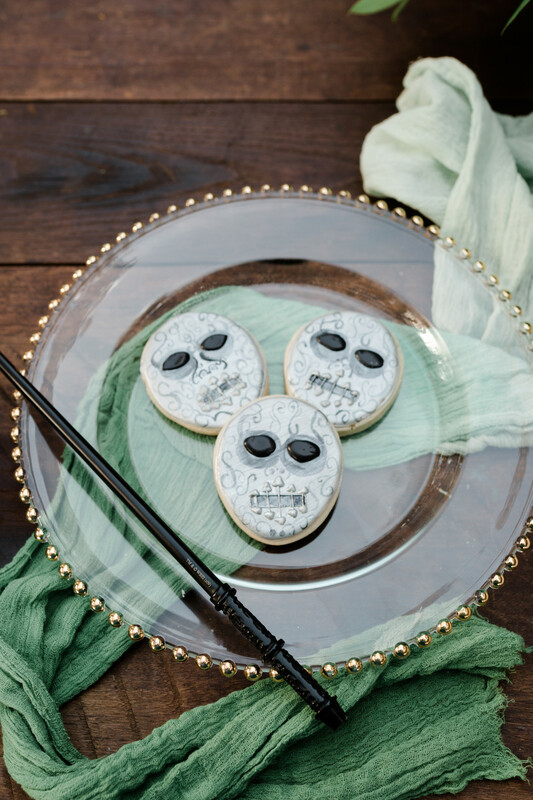 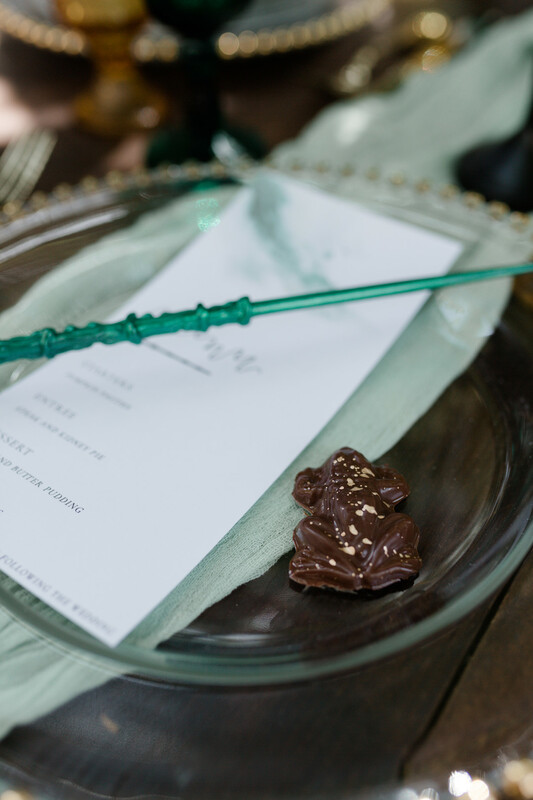 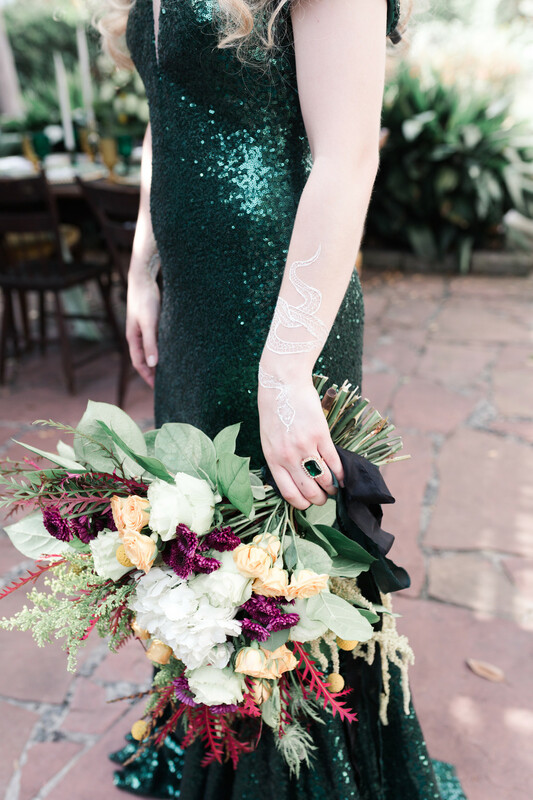 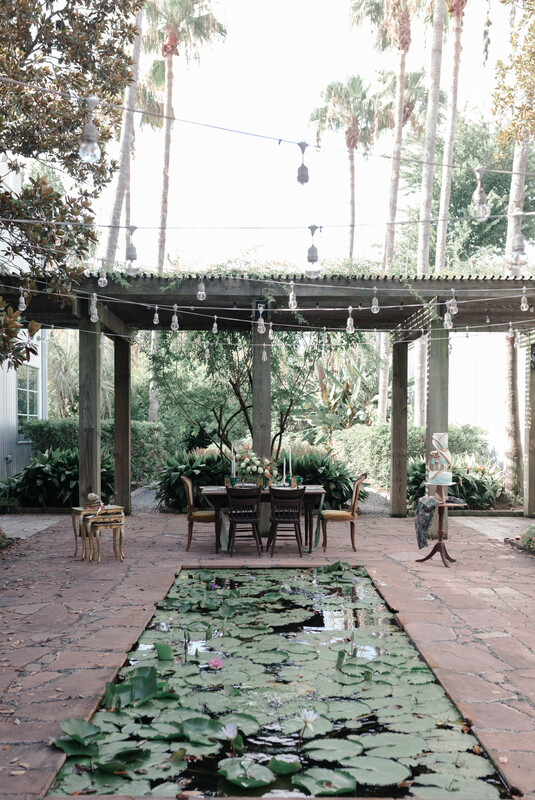 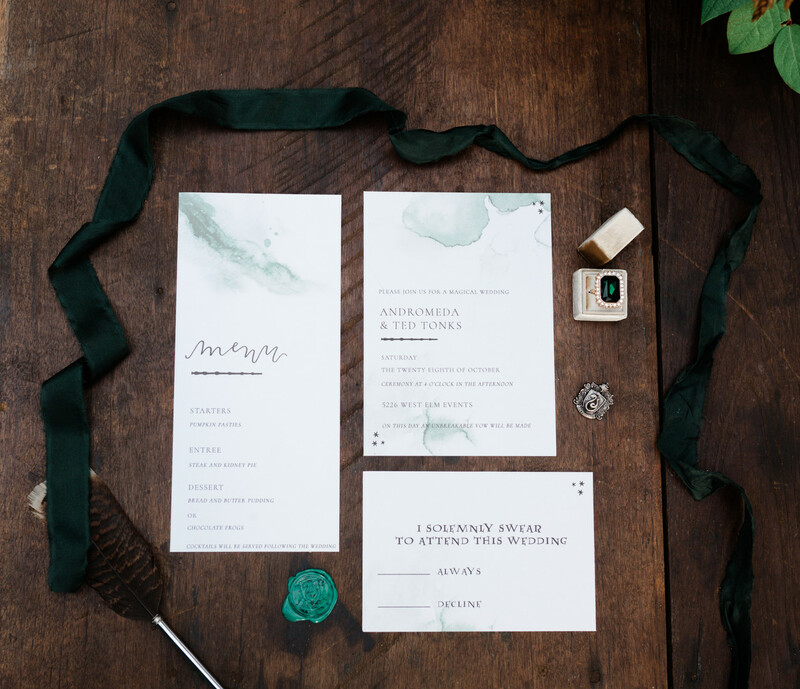 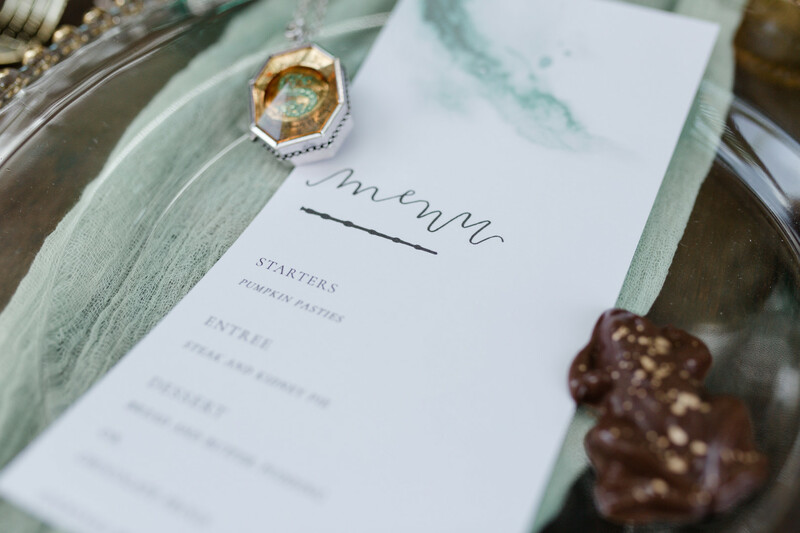 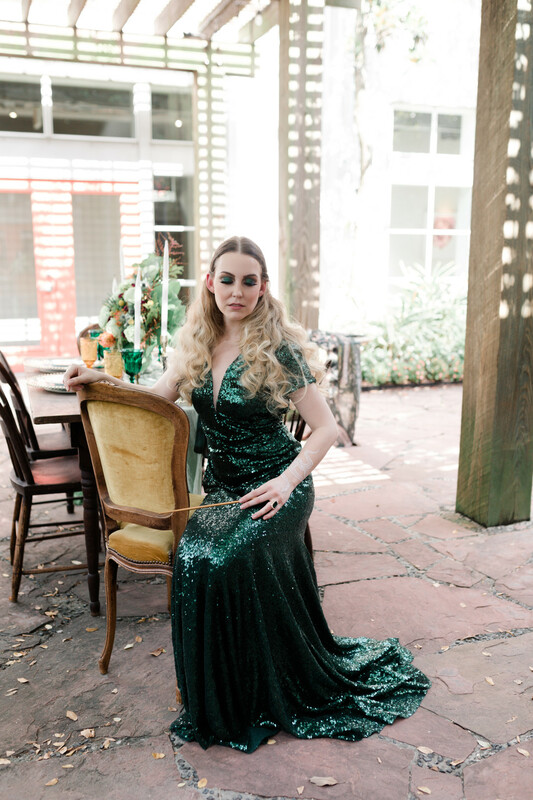 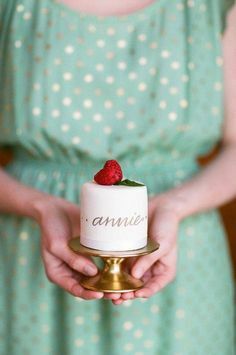 the paper goods, to the gold flecked chocolate frogs, to the show-stopping cake that looks like it is floating, Haylee from Water to Wine Events paired with Swish + Click Photography to bring to life a wickedly elegant wedding. 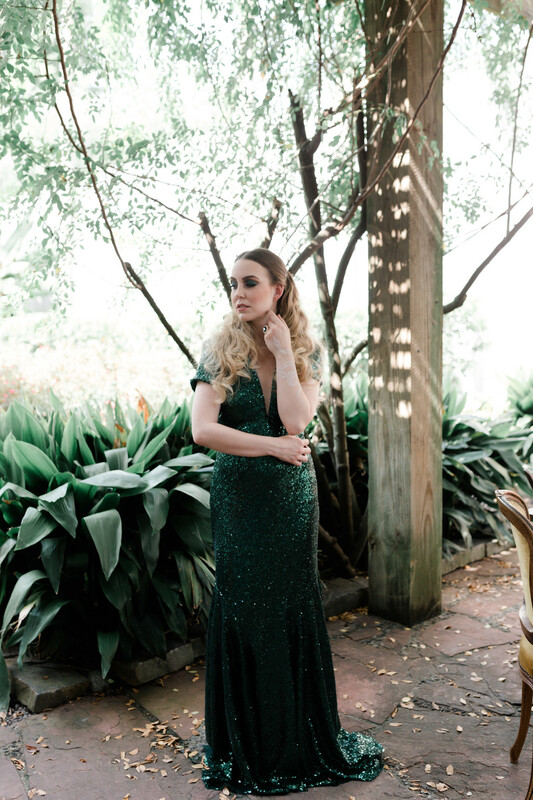 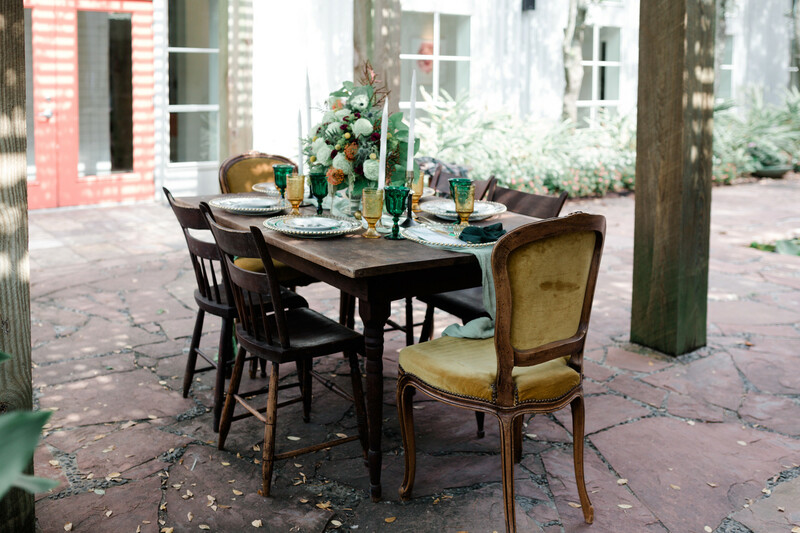 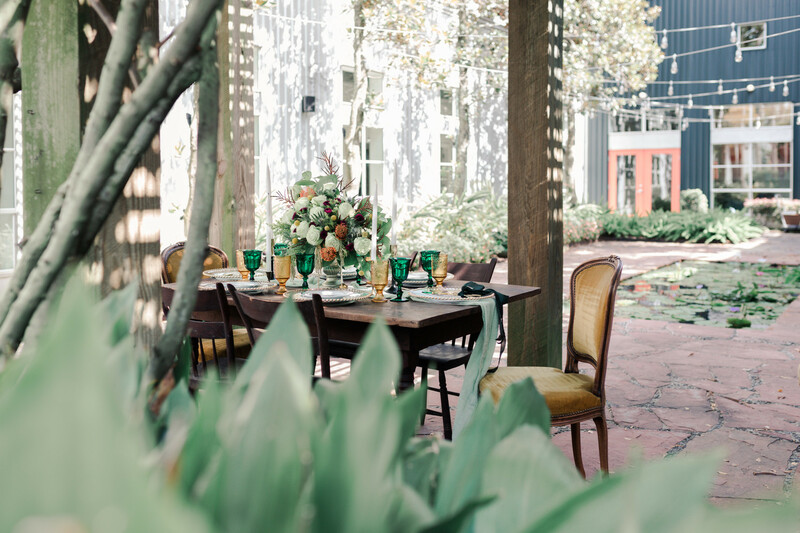 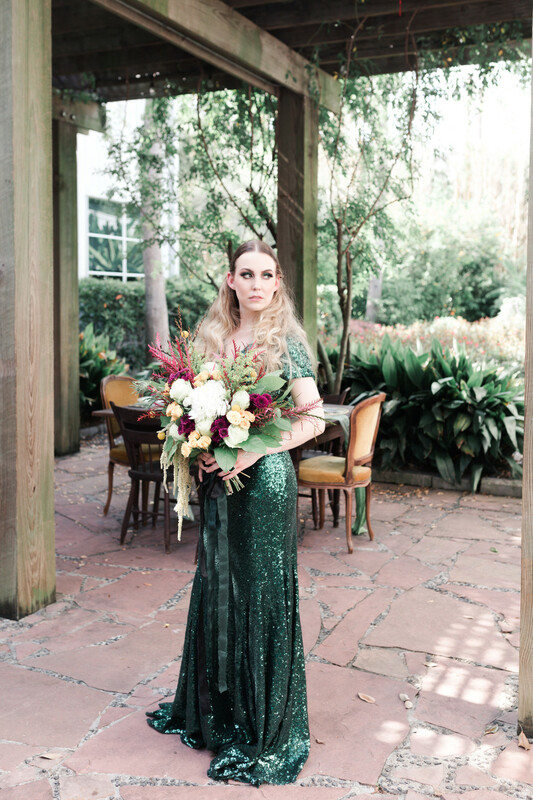 The elegantly sophisticated style looks beautiful against the backdrop of 5226 Elm Events. 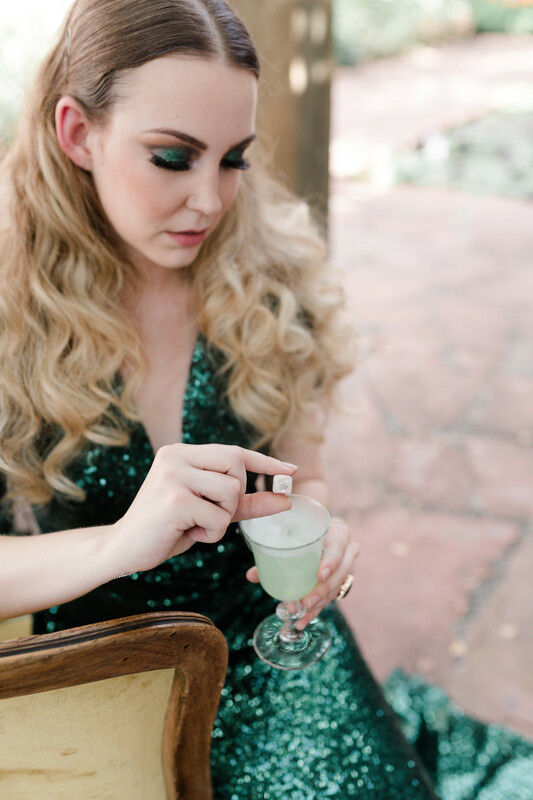 A personal touch of this wedding are the drinks by Palace Party Beverage Company. 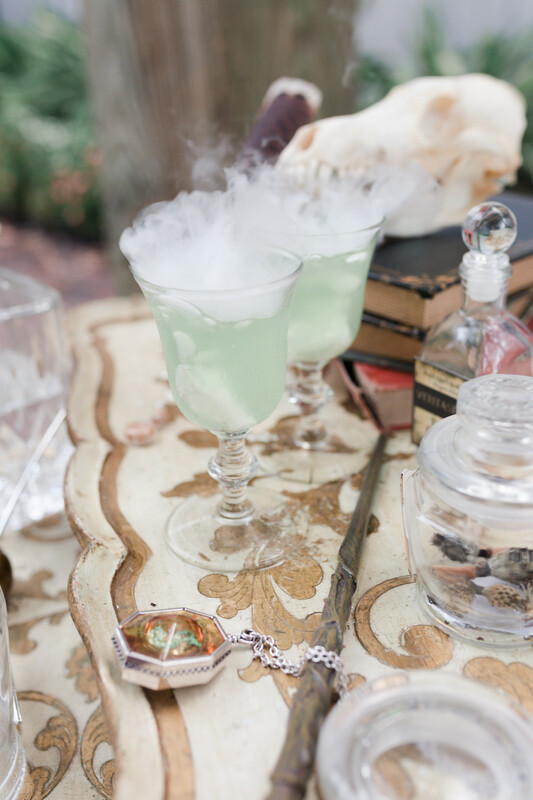 They prepared two different drinks–one a smokey opaque drink that paired perfectly with the smoldering atmosphere of the shoot. 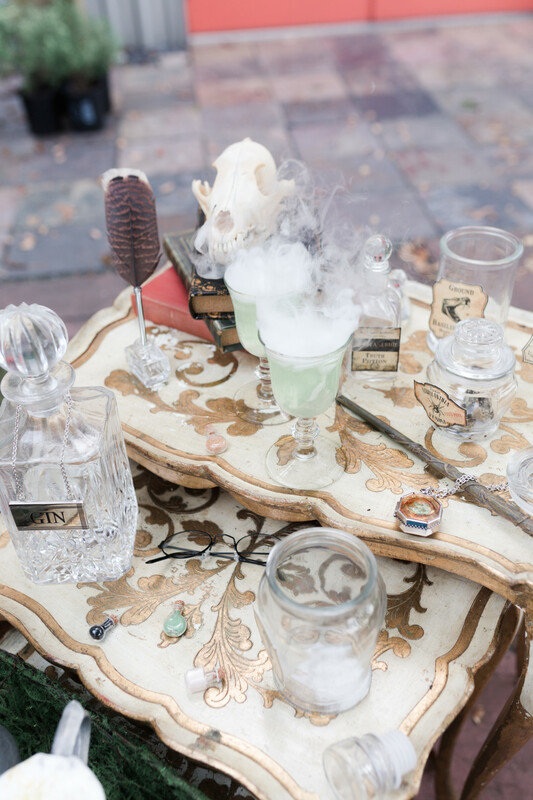 The second drink is served in a cauldron cup and looks exactly like what we would envision butter beer would look like in real life. 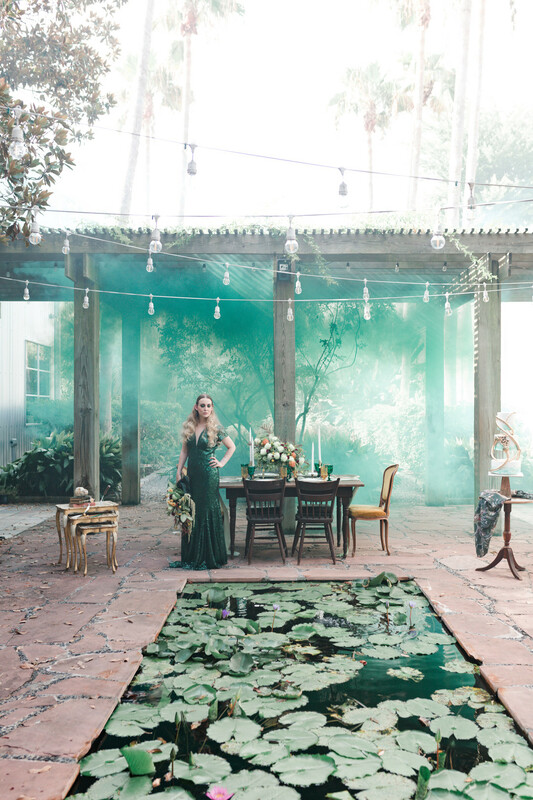 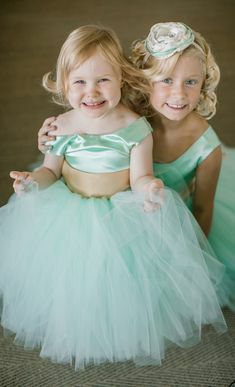 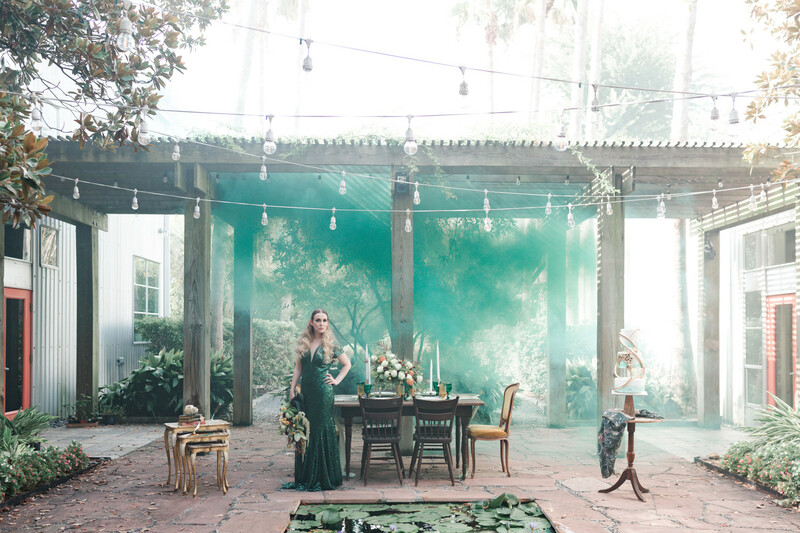 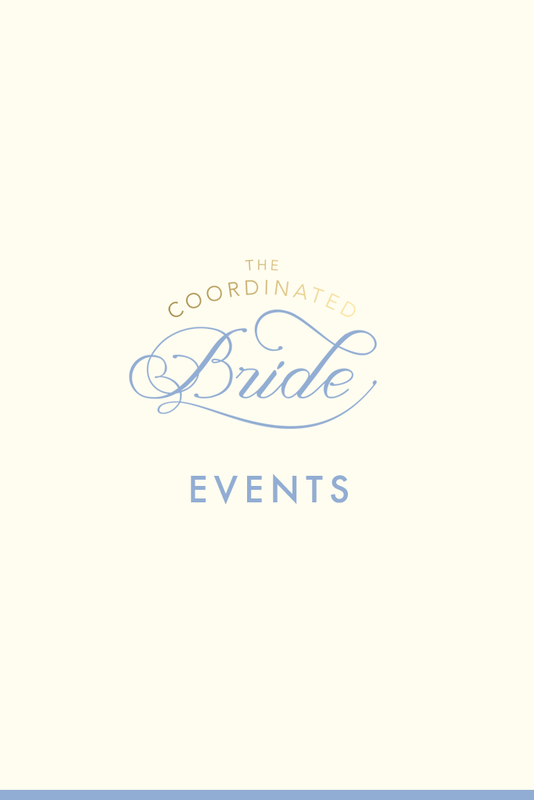 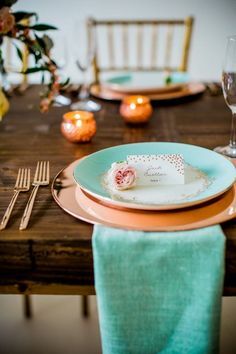 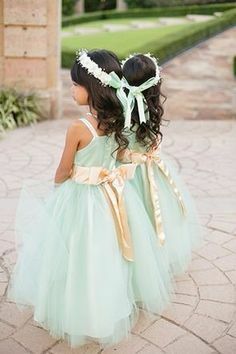 Would you consider having a themed wedding?